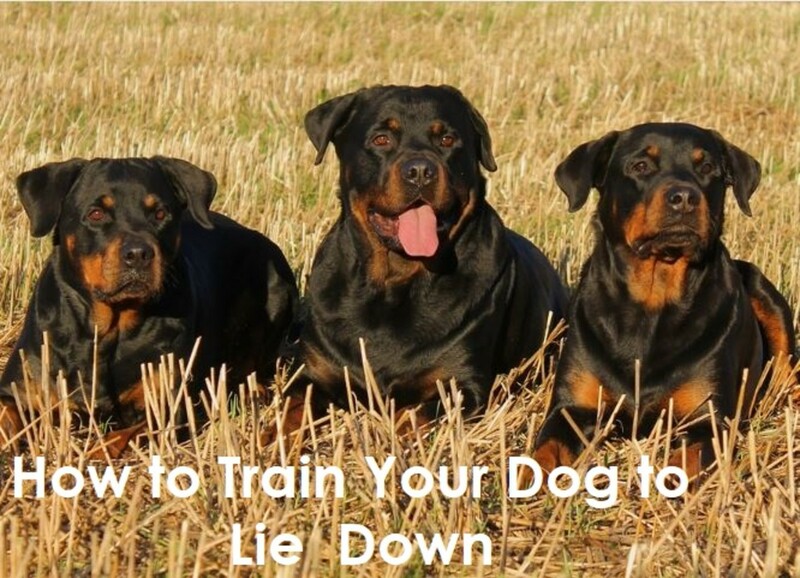 Out of all the important commands you, personally could teach your puppy or dog personally to better coincide with your life and daily routine and lifestyle, the most important of them all is probably going to be the command stay, or sit. These two commands are so universal in how many situations need to use these commands in. Teaching your puppy to stay, or go to a certain spot, like a bed or crate can prove very useful in many situations. Such as for example, when your eating, not everyone wants their puppy begging from guests in the dining room, or having guests over with a jumping barking overly excited puppy or dog, greeting family and friends as they come in your front door or while out side walking and pulling on the leash or jumping on people you meet or if you make a stop along the way running all over the place as you tie your shoe, etc. Once your puppy has mastered this skill, you can use it almost anywhere, whenever you need them to settle down for a while or out of safety for everyone concerned. This command, stay, is a command that is very useful. Sit is a command that usually follows stay, so I will teach this command along with stay. Sit, also has many uses though, certainly when out an about, or greeting guests, having your dog sit is a very useful and safe thing. Certainly when there are children around. No matter what you intend to teach your puppy, you can know that one of these commands if not both, is on that list. So, let's get started in teaching your puppy how to stay and sit. 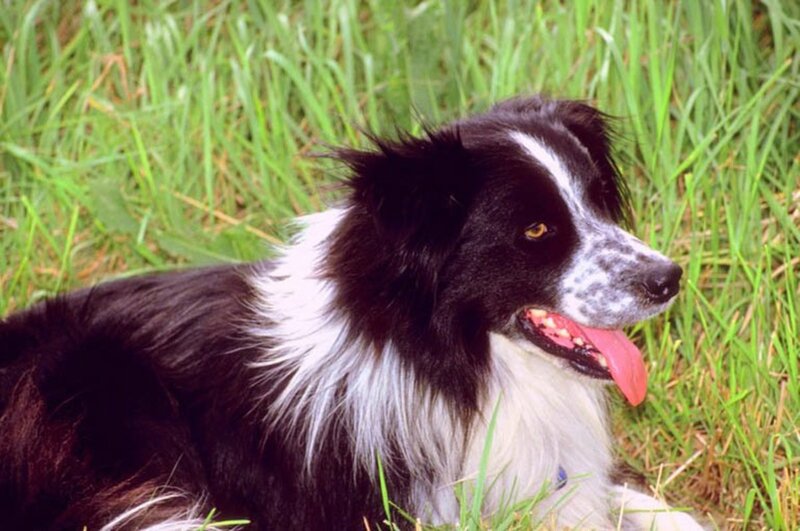 Set your dog up for success by training when they are calm. It’s also a good idea to hold training sessions when your dog’s hungry so that they are extra-motivated to earn the treats if treats are what you desire to use as a reward. Only give a command once, you don't need to repeat it several times. This will gain your puppies attention more, as they will know you mean business. Remember to use the release word “Okay” to tell your dog when they can move after a command. You don’t want your puppy to think they can release themselves. If your puppy moves around that is ok, but if they move off the spot, position them back on and re give the command as you do, once they stay for 30 seconds give the desired reward of your choice with loads of praise. During the training process, you can use a leash, you can either keep it loose of tie it to something near by if you wish. If you do this, make sure you untie your puppy after the time on the mat is up and say your release command to let your puppy know it is ok to get up. I am getting a little Pug puppy soon, and I know that I share in the anxious feeling that most puppy parents get when they think about teaching their puppies to stay. However, teaching your puppy to stay is actually easier to achieve when you keep the rule liberal and you make it a spot like a bed or mat when first teaching the lesson to your puppy. 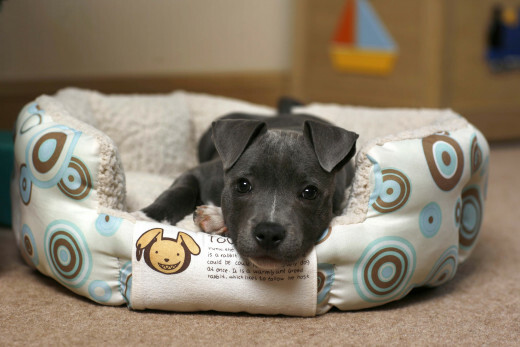 This allows the puppy the freedom of standing, sitting or lying down, and the only rule you have to enforce is that he cannot leave the area of the bed or mat, and also helps them understand the boundaries of the area more with them being defined by the end of the mat or edges of the puppy bed. 1.) First things first, make sure you have a safe area either inside or outside with limited to few distractions for you and your puppy. Along with your desired reward. Tip: When giving any type of treat, never give the entire thing to your puppy during training, instead break off small pieces just the size of your fingernail and give that to your puppy as a reward. You don't want your puppy seeing it as mealtime or becoming dependent upon the treats only, so give a little and switch up your style of rewarding him, maybe use a toy or praise instead of a treat. 2.) As you bring your puppy to the mat give the command you wish to use, for this demonstration I will use the word "stay". Give this command as you set them on the mat, bed or inside the crate. 3.) Once placed on the mat, your puppy will most likely try getting off, correct them gentle but firmly with a even toned voice, with "No" and then give the command "stay" command again as you correct them to the bed or mat. 4.) Do this several times until you can count to 10 or can wait five minutes without them trying to get off the bed or mat. 5.) Once you can stand there with him for 5 minutes without them being corrected, give them praise and a "release command like GO" to let them know, it is ok to come off the bed or mat. Tip: You may have to encourage them to come off the mat. Tap your hands on legs to encourage them to come off the bed or mat as you say the release command. Repeat this sequence above for a number of days, gradually increasing the time that you ask your dog to remain settled on the mat or bed. If your puppy gets up before you release, gently correct and lead back to the mat or bed. 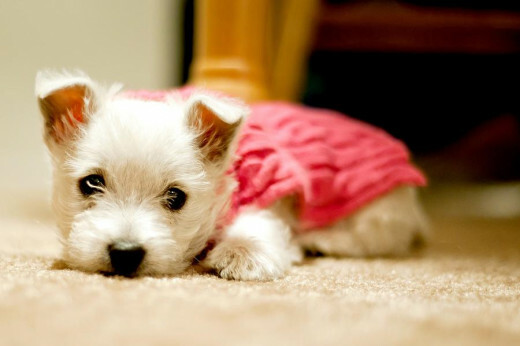 Have your puppy stay on the mat for at least 10 seconds. Then reward and release. When you build up to about three minutes on the mat, you can start giving your puppy something to keep them busy and happy while staying on the bed or mat for longer periods of time. While your puppy enjoys the treat count to 3 minutes. When the time on the mat or bed is up, give the release command and praise your puppy. When you’ve worked up to 5 to 10 minutes of mat time, you can start to think about adding some distance. After your puppy learns to settle down in their spot for a while, you can teach them to stay in place while you move away from them. To introduce this idea guide your puppy to their spot and give the command to "stay". When your puppy moves on the mat praise them. Move a few steps away from the mat. 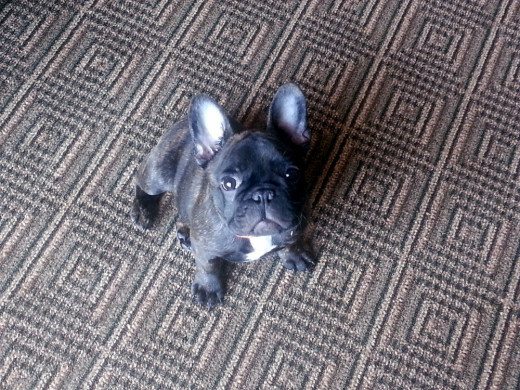 If your puppy stays, move back to the mat and praise them with praise or a reward. After the praise or reward of a treat give your puppy the release command. Repeat the sequence above for a number of days, gradually increasing the distance that you move away from your puppy while they stay on the mat. Start with two steps, and then increase to three or four. Then try five or six. Then throw in an easy repetition and only move one step away. Because you’re making the exercise harder by adding distance, only require your puppy to stay for short periods of time—30 seconds to a minute at most. When you’re able to walk about 15 steps away from your puppy while they stay on their mat, you can start thinking about adding time to your training sessions. Now that you’ve worked on both increasing the time your puppy stays on their mat and the distance you move away, you can try putting those two things together. Ask your puppy to go to their bed or mat as you walk over to it, if they get on, you can give them praise, otherwise you may have to place them on the bed. And then repeat the process by giving them the release command and then asking them to do it again until they go on themselves. Trying moving away from your puppy when you ask them to stay on the bed or mat. Make sure the mat or bed is about six feet away from your chair. And make sure you give your puppy a treat toy like a KONG or a favorite toy they will be busy with for five or so minutes. 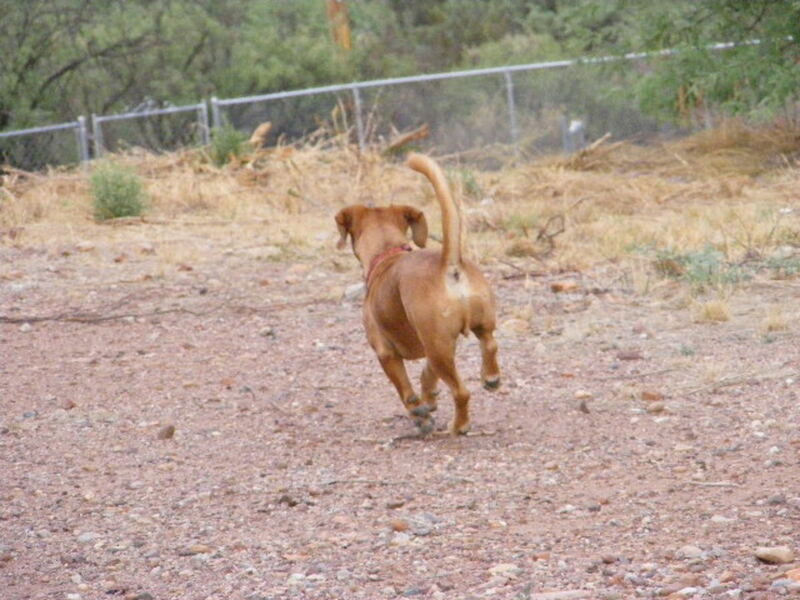 When the time is up, give your puppy the release command and encourage them to get up. Practice this for a few days, slowly increasing both the distance and the time that your puppy stays on the mat from where you are sitting. 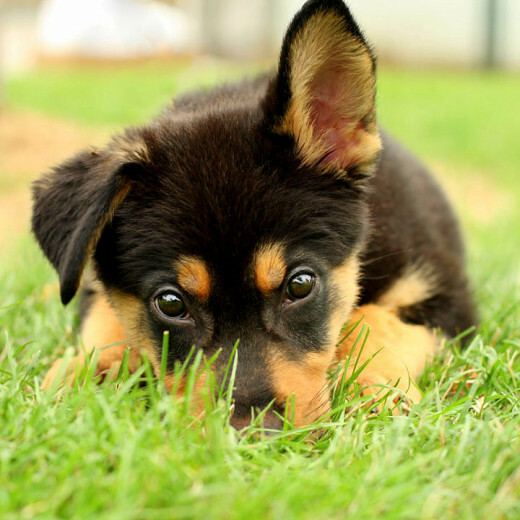 Remember to throw in some easy, short repetitions so that your puppy doesn’t get bored or frustrated. After you have mastered this, you can start thinking about adding different types of distractions. So far, you’ve been practicing in calm, quiet places with little to no distraction. Now you can start to add some distraction to the scenario. Practice in a variety of locations and situations. When your puppy becomes a pro at staying you’ll be able to start using this skill in real life. Set your puppy up to succeed by increasing distraction slowly. First, practice in various quiet places within your home, like all the rooms in your house. Then try slightly more distracting places and situations. You can practice in your house when family members are moving around, when you’re cooking in the kitchen and when you’re eating dinner at the table. Try practicing at friends’ houses, too. When your puppy can reliably stay in the designated spot in these distracting places, add even more distractions. Practice when guests ring the doorbell. 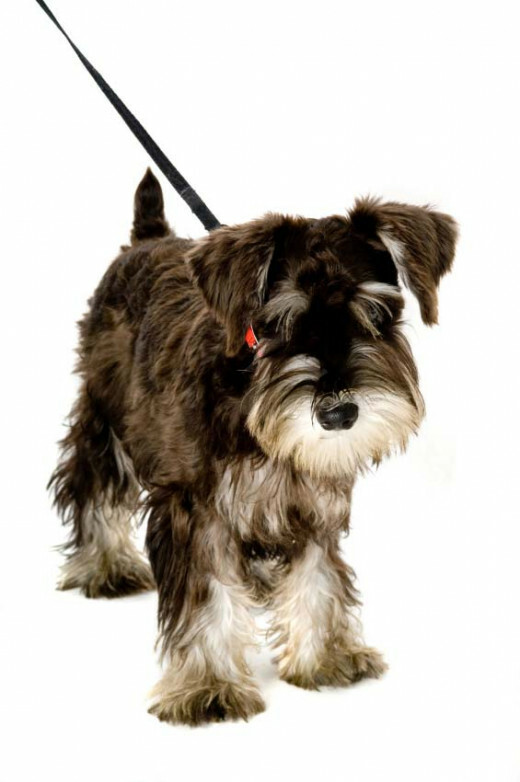 You can reward your puppy when the successfully complete a command. If your puppy can’t stay on the mat when you move to a new location to train, you may have progressed too quickly. Try going back to a slightly less distracting location to practice for a while or asking them to stay for a shorter period of time. After a few successful sessions, you can try making things a little harder again. Have a place that is safe and with few or limited distractions. Get the treat of your choice and hold a small piece of it above your puppies head. Ask your puppy to "Sit" while moving the treat back behind the head. Once your puppy has fully sat down in the "Sit" position, go ahead and reward the puppy with the treat. Repeat this process until you can say the command "Sit" with your puppy successfully sitting without a treat. 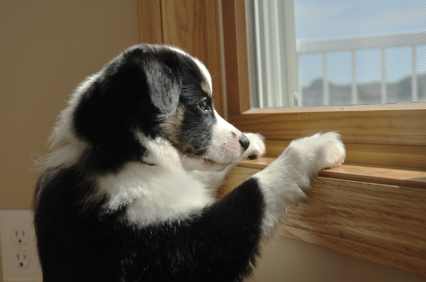 Maintaining your puppy's confinement schedule when you are at home prepares your puppy to be calm when you are gone. Allowing a young puppy unrestricted access to you when you are at home quickly encourages them to become overly dependent, and over dependence is the most common reason why dogs become anxious when left at home alone. Once your puppy is confident and relaxed on his own, he may enjoy all of the time with you when you are at home. To Introduce the idea of not always being with you try these easy steps. Periodically confine your puppy to another part of the house separate from where you are throughout the day. Maybe as you make supper, or eat. Most importantly, when your puppy no longer cries for your attention and can sit nicely in the room alone with toys to take up his time, reward him for the times when he is quiet. If he cries, leave him, don't go running to him (unless it is a cry you know is urgent as if in trouble or dangerously caught on something-but make sure to puppy proof the room to forgo any dangerous accidents such as these). 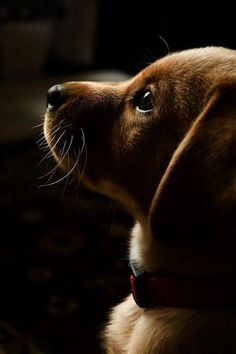 After a while your puppy will not necessarily associate the confinement area with your absence, but rather they will learn to look forward to time spent with their toys. Make sure to give your puppy plenty of toys whenever leaving them on their own. Ideal chew toys are indestructible and hollow (such as Kong products), as they may be conveniently stuffed with kibble and occasional treats which periodically fall out and reward the puppy for chewing the toy, thus encouraging further play. If your puppy is gainfully occupied with the chew toy, they will fret less over your absence. Additionally, you can leave a radio playing. The sound will provide white noise to mask outside disturbances and the fact that you are gone, this is a great aid for when your puppy is younger and not to use to your absence yet of being away from you. The sound of a radio is also reassuring and clams the puppy if you play classical music or something soft. My other pug was quite partial to Classical music, Country, and or nature music like birds or waterfall sounds. Enjoyed your hub cute photo too. 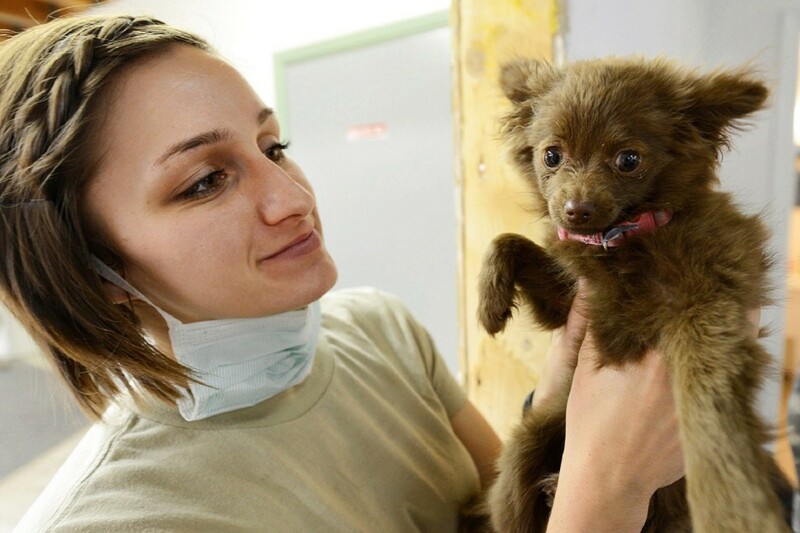 I just adopted a little dog. He learned to sit, lay down and stay very fast so I think someone else must have taught him. Voted up on your hub.